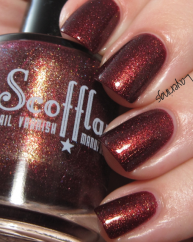 Fire Imp by Scofflaw Nail Varnish. 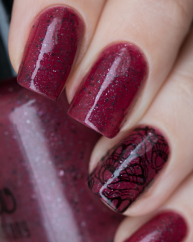 A rich true red coral scattered holo with aqua-teal shimmer highlights. 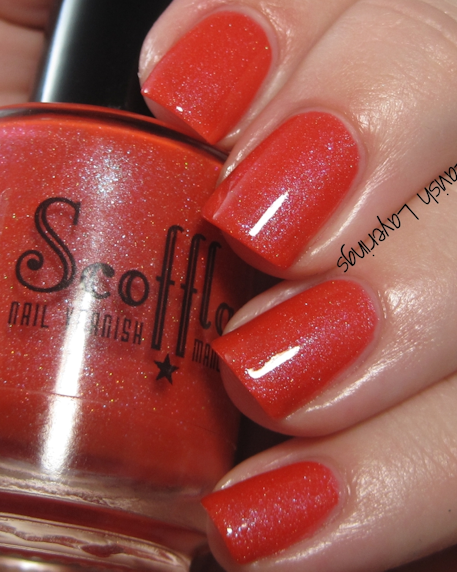 Gorgeous bright coral creme with pretty aqua shimmer. Opaque in two to three coats depending on how thinly you apply them. Great wear time.